Sometimes, we need Combobox more complicated. So, I build it with some helps. - 010. Add Component (Control) to Palette. Create new JFrame, named comboTable. 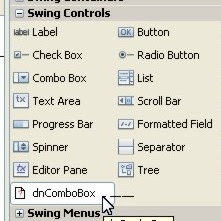 Drag dnComboBox control (component), named cb. viewColumn = column index that will be shown on dnComboBox when row being selected. For reference, we can read 008. 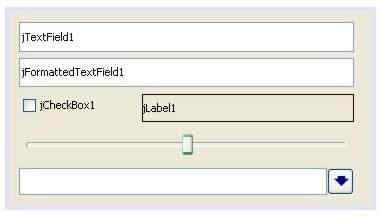 Add Database to JTable (JTable Part 1).